Since I last wrote about Operation Protective Edge, the conflict in the Gaza Strip has escalated, with Israel launching a ground invasion. I’ve discussed the conflict with many people, and there are a few key arguments I keep hearing in defense of the operation that do not stand up to scrutiny. My aim today is to expose them to said scrutiny. For every Israeli who was killed by the rockets, 2.25 Israelis have been killed invading Gaza ostensibly to stop Israelis from being killed by rockets. From an Israeli point of view, the cure is worse than the disease. 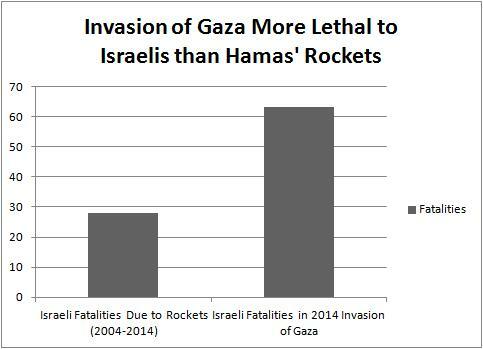 If Israel had not invaded Gaza and Hamas had continued to fire rockets at the pace and lethality it averaged over the previous decade (which is unlikely due to the Iron Dome missile defense system, which first came online in 2011), it would have taken Israel 22.5 years to lose as many people to rocket attacks as it has lost invading Gaza in the last month. It could be 2037, and Israel would have lost no more people than it has lost now. In 2005, Israel evacuated its settlers and military forces from the Gaza strip, offering the Gazans an olive branch. In 2006, the Gazans responded by electing Hamas, rejecting Israel’s overture. Hamas then built rockets instead of building Gaza’s economy. Hamas’ rockets do not kill many Israelis, but this is not their purpose–their purpose is to draw Israeli counterfire. Hamas hides rockets in schools and hospitals to to force Israel to attack these locations, then fills them with civilians and children so as to make Israel look bad. It uses “human shields”. Therefore, the Israelis are the good guys and Hamas are the bad guys. It is not necessary to dispute any of Krauthammer’s factual claims to see where the argument goes wrong. The argument pulls what is essentially a sleight of hand–it assumes that if Krauthammer can show that Hamas is a bad organization that this should translate into sympathy for the Israeli campaign. Yet it is very possible to believe both that Hamas is a bad organization and that Israel’s campaign in Gaza is both deeply wrong and hugely mistaken. Indeed, this is implied by Krauthammer’s own argumentation. If it is true that Hamas’ strategy is to fire rockets ineffectively so as to goad the Israelis into launching a counterattack that will make Israel look bad internationally, the worst thing Israel can do in response to that strategy is exactly what it is doing–launching the counterattack. If it is Hamas’ goal to get Israel to kill Palestinians and Israel wants to thwart Hamas, it should do the opposite of what it is doing, it should refrain from killing Palestinians altogether. Hamas could hide a rocket under the bed of every kid in Palestine, it would still ultimately be an Israeli decision to bomb the bedrooms. Hamas is putting its people in danger, but only insofar as Israel chooses to cooperate by attacking these densely populated civilian areas. From an Israeli point of view, the whole operation just doesn’t make sense. Israel loses more of its own people invading Gaza that it is likely to lose sustaining endemic rocketfire. If it is Hamas’ goal to get Israel to telegenically kill Palestinians, then Israel’s operation gives Hamas exactly what it wants. None of this excuses Hamas, which has poorly served its people by using them as bait and wasting resources on rockets that bring Hamas no closer to an independent Palestinian state. Hamas could be improving Palestinian living standards, and instead it launches futile rocket attacks that result in Israel destroying precious Palestinian infrastructure. But Krauthammer and the others that attempt to offer support to Israel through the vilification of Hamas are both attacking a straw man and offering up a red herring. The straw man is that no reasonable person holds that Hamas is doing a good job of governing Gaza in the interests of the Gazan people in the first place. The red herring is that Hamas’ incompetence is not relevant to the question of whether or not what Israel is doing is an effective response to that incompetence. Now, some supporters of Israel make the jump that because the Gazans voted for Hamas in 2006, the Gazans are ultimately responsible for what Hamas is and does, and therefore the Gazan population is not morally distinguishable from Hamas, that consequently no one should begrudge Israel its killing of the wider Palestinian population. No reasonable person could doubt that from the Gazan point of view, electing Hamas was extremely stupid. But let’s bear in mind that the median age in Gaza is 18. This means that well over half the population of Gaza could not even have voted in 2006. Recent polling prior to the beginning of the air strikes and the ground invasion revealed that most Gazans had come to support diplomatic engagement with Israel. 70% of Gazans believed Palestine should maintain the ceasefire, 57% of Gazans believed that Palestine should renounce violence altogether, 66% said Hamas was guilty of corruption, 88% wanted Fatah (the moderate faction in Palestine) to take over security in Gaza, and only 15% expressed support for Hamas’ leadership. What’s the quickest way to drive the new generation of Palestinians back into the arms of violent militants? Killing their friends and family members, which is precisely what Israel is doing. No matter how you slice it, Operation Protective Edge is a strategic disaster for Israel. Not only does Protective Edge make Israel look bad on the world stage, it radicalizes the next generation of Palestinians and it even gets more Israelis killed than would otherwise be in harm’s way. It’s almost as if Israel were trying to run itself into the ground. Excellent article. You made a very good point about the Israeli operation doesn’t make any sense as it is increasingly the harm done to Israelis, not reducing it. I haven’t seen the data for this time, but I know that previous Israeli offensives greatly increased the number of rockets that were fired. And not a signle word about the tunnels? A single word about the attack cross border attack tunnels Hamas has built. Coming into Israeli town, can only yield terror, cositng few 100s of millions off dollars? This is the mean reason for the ground invation, but not a single word about that…. The number of Israelis killed due to the tunnels, either due to cross border raids or due to smuggled ammunition and rockets, is not very high. All told, the invasion of Gaza costs Israel more in lives and money than does many years of tunnel attacks and Hamas rocket launches. More Israelis have died during the ground invasion than died in the previous 10 years at the hands of Hamas. And bear in mind, Israel is not merely destroying the tunnels–it is also attacking targets inside Gaza from the air, which harms its international reputation and radicalizes the Gazan population. 1st the have found and attacked and deminished about 30 tunnels. You have many newd about that all over the net. I’m sure you can find one. If not i will link you. This is the main reason for the ground op. which your analy ignors. 2nd the fact they manage to put so many forces near the end of the tunnels does not mean they can live like that for long. The other day 8 hammas militant went out of a tunnel near a kibbutz and started running to it. The were attacked for the air and ran back. Should israel wait until the full population ofva kibbutz is killed and only then start fighting? 3rd intl. Image- actually , right now ISIS, Hizbullah, AlQaida and other good organizations arewatching, the got the message “we are a med dog, don’t mess upwith us”. For israel it is more important than the brazilian embassador. 4th – radicalizing gazan- from themorsl point of view – it is like saying WWII radicalized germany…. for benefitial view- some 80% have all ready voted Hamad…..
5th if you wanna attack the tunnels, you need larger cover thru fire so the Hamas won’t be able to defend it. 6th the population in the kibbutzim near gaza won’t return to thier houses until tunnels are gone. They are really afraid. What do you offer? As I just stated, the point of destroying the tunnels is to prevent Hamas from killing Israelis. Hamas has killed more Israelis during the ground invasion than it did in the decade prior. This makes destroying the tunnels counterproductive–Israel loses more people than it saves. Furthermore, unless Gaza is reoccupied (at great cost), the tunnels will be rebuilt when Israel leaves. Israel has several times attacked Hamas, and each time Hamas has resumed violence subsequently. These attacks do not have any obvious deterrence value. Indeed, many argue that it is Hamas’ goal to get Israel to attack Gaza so that Gazan children will be telegenically killed, in which case these attacks only serve to demonstrate Hamas’ efficacy in goading Israel into damaging its international standing. The attack on Gaza is in no way like World War II–Germany is an independent state with formal military forces. When those forces were defeated, Germany capitulated and its government collapsed. Hamas uses guerrilla tactics, it cannot be destroyed outright, and those who have lost families and friends in the violence are more likely to subsequently join extremist groups. The same proved true of Hezbollah in Lebanon. Despite the war in Lebanon, Israel was unable to destroy Hezbollah. Its actions radicalized the Lebanese further and damaged Israel’s standing with the west. This is because Hezbollah, like Hamas, is a guerrilla organization, not a standing army like the one possessed by Nazi Germany. It does not fight pitched battles along fronts and cannot be defeated in the field. Do you really believe your point of view is rational? “If we attack Hamas, we will lose more people in two weeks than you are likely to lose in your Kibbutz in a decade or more. Furthermore, we cannot attack Hamas without killing lots of Gazan civilians. This will make the Gazans more hostile to your Kibbutz in future and will harm Israel’s negotiating position internationally. Additionally, as soon as our attack on Gaza ends, Hamas will regroup, rebuild the tunnels, and quickly pose the same threat to us that they do now. In sum, attacking Hamas will not solve our security problem and will almost certainly worsen it. 1. Increase the law enforcement presence in your local area. 2. Continue to improve and extend Iron Dome. 3. Continue to attempt to negotiate a peace deal with the Palestinians that will give them their own state so that their well-being is no longer our responsibility. The argument is not that Hamas is good, the argument is that this strategy for dealing with Hamas–attacking them–does not work. It does not make Israelis safer. Appealing to the value of the lives of the Kibbutzniks does not change that reality. No matter how valuable we take the lives of Israelis to be relative to Palestinians, Israel cannot successfully defend itself by attacking Hamas. Probability to a “successful” terror attack X number of causalities in such an attack X number of terror attack attempts= threat it poses. Much more than 60 as you can see. This is real rationality. 2. You claim: “Hamas will regroup, rebuild the tunnels” very well. They will. So I take it – you don’t cut your nails, because they will grow again, and you don’t take a shower because you will get dirty tomorrow? This is not called rationality. And say they followed your plan- (iron dome, Kibbutzim evacuation, reinforcement of the IDF troops near the Kibbutz ), Hamas won’t develop new threats? So how can your plan answer it? So we have here two options- 1. Doing s.t. that would temporarily reduce the threat dramatically. 2. Doing something that doesn’t reduce the threat, what is better? 3. As for your plan- evacuating Kibbutzim… So in your view- When should Israel say “enough is enough” we are going to a massive military op? When routine in Tel-Aviv becomes hell? Or should they evacuate Tel-Aviv as well. Maybe all the Jewish community in Israel should evacuate to New-York. Then again, also New-York is threaten,,,, It is not a rational claim from an aspiring political philosopher to claim a sovereign country should offer its inhabitants help in evacuating their town because a terror group shoots rockets and digs tunnel to…. Maybe World Trade Center is not to be rebuilt, for Al-Qaida not attack it again? . 4. Continue to improve and extend Iron Dome.- Great, but it doesn’t answer tunnels, at all. An even with Iron dome, you have to run for a shelter every attack, you are just less likely to die. 5. Continue to attempt to negotiate a peace deal with the Palestinians that will give them their own state so that their well-being is no longer our responsibility- I’m all for that. But even if Israel and the Palestinian authority reached a deal. Hamas will keep attacking. As they did ever since the Oslo accords. Moreover, they might as well escalate, to stop the peace process. So, a pal’ state should be established, but it doesn’t stop Hamas at all. And even worse, it can be shown that the bigger the peace talks, the bigger the Iranian weapon shipments are. 7. A latent assumption in your text is “a terror group cannot be deterred” – I don’t think it is factual. 1. Ever since the 2006 war (8 years now) Hezbollah has not attacked Israel. That is, in essence, deter. Moreover, despite the fact their top military commander, Imad Murniyah, was killed (they claim by the Mossad, but Israel dines), they didn’t attack Israel. They are deterred for 8 years now. Moreover. The Tamil Tigers has lost the war and their weapons taken, and many other examples. So a terror (or a guerilla group ) can be deterred. If you are assertive enough. Finally we see, that given the real threat the tunnels pose, grand invasion it the least worse option that actually can temporarily secure the region. Not a happy one, not fun, diplomatic and PR catastrophe, but still, least worse. On the scope of the threat: Do we have any reason to believe that the tunnel threat will be greater in the next decade than it was in the previous decade? Hamas began building these tunnels shortly after it was elected, nearly a decade ago. Over the past decade, fatalities were very limited. 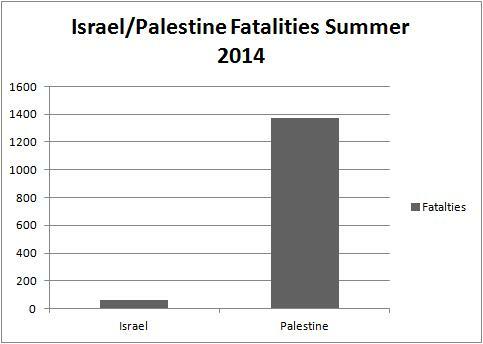 Do we have any reason to believe that Hamas’ lethality will increase? I would argue no, particularly given Iron Dome, which was only brought online in 2011. Given Iron Dome, Hamas is likely to kill fewer Israelis in the next decade than it did in the decade prior, whether Israel attacks Hamas or not. Yes, an unprecedented event can always happen, but unless we have reasons to believe that future conditions will differ from past conditions, we can take the past as a credible guide. Now, if Hamas could not rebuild the tunnels, you might have a case, because you could argue that even if it would take Hamas 20 years to kill the number of Israelis it has killed during invasion of Gaza, by destroying the tunnels Israel could guarantee that Hamas could never hurt Israel again. But because Hamas can rebuild the tunnels, this means that Israel loses excess troops now and will continue to endure attacks later. The attack on Hamas will consequently make no long-term difference to the security situation. Bear in mind, the number of Israelis that have been killed destroying the tunnels already exceeds the number of Israelis that were killed by Hamas in the last 10 years, so even if it takes Hamas a full decade to rebuild the tunnels, Israel does not come out ahead. On relocating people: Israel can defend territory its people are not living on. If a Kibbutz were to move further from the border, this increases the expanse of territory the Hamas fighter would have to cross without being caught by Israeli security forces. On an independent Palestine: If the Palestinians got their own state, we would expect Hamas to either disarm and become a law-abiding stakeholder within that state (like Sinn Fein in Ireland), or to become an enemy of the new Palestinian state, in which case Israel could help the new Palestinian state crush Hamas by helping to fund and supply the new state’s security forces. This would prevent Israel from having to do the fighting itself, sparing it negative attention. On the defensibility of the border: The American border with Mexico is 1,933 miles. Israel’s border with Gaza is much smaller. It is much easier for the IDF to successfully police the border with Gaza than it is for the US to police its border with Mexico. On deterrence: Terrorist organizations are generally persuaded to lay down their weapons in a peace agreements (e.g. the Provisional Irish Republican Army in the UK). They often resist violent strategies for decades, despite substantial additional losses (e.g. the FARC in Colombia). Sometimes their causes lose the political support of the people they need as members to survive, allowing them to be hunted down via police tactics, but Hamas’ goals are not likely to altogether lose their luster for young Gazans anytime soon, particularly those who have seen friends and family members killed by the IDF. Hezbollah has only conducted a couple of cross border raids in its lifetime. Prior to the raid in 2006, its previous raid was in 2000. Raids were already highly infrequent and unusual. The Lebanon War killed many more Israelis than did those raids. Hezbollah’s original purpose was to get Israel to leave South Lebanon. Unlike Hamas, it is much more concerned with domestic Lebanese politics and does not see itself as having much in the way of territory to reclaim within Israel. It is consequently more defensive in outlook and strategy than Hamas, the 2006 raid being a rare exception, indeed, perhaps the only prominent one since Israel left South Lebanon in 2000.. Will Hezbollah raid Israel again? Who knows–since 2011 it has been involved in the Syrian Civil War, which consumes much of its resources. Furthermore, we must remember that many people allege that, unlike Hezbollah, Hamas wants to be attacked so that it can damage Israel’s reputation by broadcasting dead children. If that’s the case, Israel’s attack is part of Hamas’ strategy, and it certainly cannot be deterred. I’m sorry to say that, but there are many places in your analysis which are far from the facts. In May 2000 Israel has left Lebanon to the UN border. To this raid, Israel reacted according to the “Studebaker plan”, hardly any military reaction, defensive steps…. Did it bring relative quiet? No. How on earth can you say it is a rare exception? The only thing made them relax for a while is the 2006 war. It is true that ever since 2011 they are mixed in the Syrian situation and that the sanctions on Iran help as well. But as far as any person with decent view can judge, the only reason the ever-lasting attack coming from Hezbollah into Israel have ceased, is the 2006 war. So a terror group can be deterred. Moreover there many examples of terror organizations that were driven away due to military attacks- In the 70’s PLO was driven away by the attack of King Hussian’s army (events known as “Black September”) , fled to Lebanon. In 1982 the PLO fled Lebanon to Tunisia due to the IDF’s first Lebanon war. I’ve already given the example of the Tamil Tigers, and many other examples. This brings me to the second point for yours: you claim that on a case of a peace agreement between Israel and the PA , leading to a full Pal’ state in the West Bank and Gaza strip – one of the two may happen – Hamas will disarm, or, It will be cracked down by the state of Palestine army, backed by the IDF. I’m sorry, but this analysis in ignoring the most probable scenario – A state that harbors a terror organization. This is a very common sight in the Middle East. To name few – Hezbollah in Lebanon- Did Hezbollah disarm when Israel retreated to the U.N border? NO. Why do you think Hamas will? Another example – Fatah in Syria , PLO in Jordan, Al-Qaida in Afghanistan, do you need more? This is the #1 most reasonable scenario. And this is why a peace agreement between Israel and (to future possible) Palestine has nothing to do with Stopping Hamas. 1. It fails to consider the religious motivations of Hamas. 2. It fails to understand the Pal’ view of Israel. Come on…religious motivation is not negotiatable, or compromised. That’s why Hamas will never disarm. Never have I heard the IRA saying they wish to drive Londonians into the sea. However, it was always to common cause of all organizations fighting Israel. Never have I heard the IRA claiming the English people have no right to be in England, However, this is claimed by all organizations fighting Israel. This is why all organizations (including Fatah) are calling for the “liberation” of Haifa and Jaffa. This is why they call squares and streets after homicide attackers, attacking Tel-Aviv or Haifa. They even made up a Muslim/Arab town upon which Tel-aviv was allegedly built (they call it “Tel-Al-Rabia”, which is Arabic for “Tel-Aviv” , literally “The hill of spring”) . As they see the entire Jewish presence on “Palestine” (including current Israel) as colonial act, they cannot accept any Jewish present there are all. This is the reason they want to push the Jews into the sea from the first place. For them is doesn’t matter if the is a sovereign state, or just a Jewish community with no sovereignty . It is colonialism all the same. This is why they rejected each and every peace/partitions plan from 1938 to 2008. This is what their textbooks teach, and their TV shows show. Real the PLO charter, they say they will allow the staying of Jews , only if their family used to live in Palestine during the Ottoman Empire. Read Hamas’s charter, they won’t allow any Jew alive. Under these conditions , do you really believe ever, a Pal’ army would fight Hamas because they want to keep fighting against Israel? Do you think public Palestinian opinion would allow that? That’s a total of 23 people killed over a 6 year period, for an average of 3.83 fatalities per year. Based on Hezbollah’s average fatality rate, it would have taken Hezbollah roughly 43 years to kill as many Israelis as it was able to kill because Israel decided to attack Hezbollah in 2006. This would have taken Hezbollah until roughly 2048. There is also no guarantee that Hezbollah will not resume strikes against Israel at some point in the future, because Israel was not able to destroy Hezbollah or persuade it to lay down its arms. 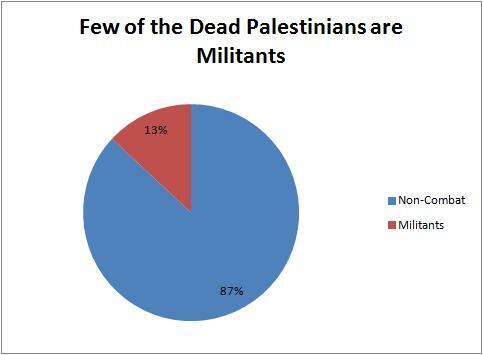 Far more Israelis are murdered by other Israelis than are murdered by Hezbollah and Hamas. As far as land claims go, you must concede that there is a difference between Hezbollah’s claim that a few Israeli villages ought to belong to Lebanon and Hamas’ claim that all of the original British mandate ought to belong to Palestine. You claim the PLO was driven away, but the Palestinians attacked again, did they not? Long since those incidents, there have been multiple intifadas and Hamas has struck Israel many times. The Tamil Tigers were active for 33 years before they were militarily defeated, and they could only be defeated when the Sri Lankan government seized the territory they occupied. By contrast, for Israel to seize the territory Hamas occupies, it would have to reoccupy Gaza, which would be financially expensive and cost far more Israeli lives than Hamas presently threatens. As long as Israel does not occupy Gaza or Lebanon, there is no chance whatsoever that Hamas or Hezbollah will be defeated, and the failed occupation of Southern Lebanon shows that even with occupation, defeat is unlikely. Many states and organizations whose goal was once to destroy Israel have since moderated their positions and even recognized Israel–the PLO, Egypt, Jordan, etc.Radical organizations will moderate in response to changing circumstances, as the IRA did. If they fail to moderate, they will lose popularity. Either way, if the circumstances change, Hamas will not pose the same kind of threat. Hezbollah has tremendous influence over the government in Lebanon. Under any likely peace deal, moderate factions will lead the Palestinian government. There is a long history of conflict between Hamas and the moderate Palestinian factions, and much reason to believe that a Palestinian state led by moderates would wish to destroy Hamas if Hamas were unwilling to submit to its authority and political process. There is no reason to believe that Hamas would have the same level of influence over an independent Palestine as Hezbollah has in Lebanon. Consider the case of Egypt, whose government is friendly to Israel and has systematically repressed the Muslim Brotherhood and other organizations that wish to threaten Egypt’s peace with Israel. There is no obvious reason why an independent Palestine cannot be like Egypt or Jordan. What is needed is a solid state structure, so that a moderate government can successfully put down radicals and ensure stability. Why did you delete my last post? I didn’t, I have to approve posts with links before they can be seen on the page. The problem with this claim, is, it doesn’t take other damage parameters into accounts. To name few examples: trauma casualties, lack of ability to attract investments to the area, loss of tourism based jobs. And many others. There are many researches, mainly conducted by the Ben-Gurion University of the Negev, and Sapir college of Sderot, showing the enormous Trauma hitting the children in the near Gazan border in Israel. After all, they are under constant war for 14 years. Same goes with the towns in northern Israel if Hezbollah wasn’t fought against. A war of 40 days, has liberated this generation from the constant fear for at least few years now. Also, the tourism in northern Israel has boomed ever since. So – Are 135 soldiers lost worth that? It is philosophical question. What would you prefer – a generation of kids unable to get sleep at nights due to the fears, or one short and painful war? First may I remind you that since 2000 we have seen to Hariri Led governments in Lebanon (father and son), both based on the anti-Syrian political wing in Lebanon. Non of these governments has did anything to disarm Hezbollah. Despite UN resolution 1701 calling to do that. So influence in government is not a leading factor. Than I want to remind you Hamas fot 45% (!) in 2006 elections. Why do you think it would be less influential? Surly, the Jordanian army took part in the 1948 and 1967 wars, mainly due to peer pressure of other Arab countries. If you already haven’t done so, I strongly recommend you to read the book “Six days of war” by Michael.B.Oren. Explaining the politics beyond the 1967 war. Egypt- a good example. Indeed elimination of Israel was a pillar of the Nasserist movement. But what made the Nasserist movement dessert it? A military defeat in the 1967 war. A tie in the war of attrition, and a tie in the 1973 war (or a slim Israeli victory). Only after these wars, did the Nasserist movement realize they are not going to drive the Jews into the sea. Does it look Hamas is anything in the region of this understanding? No. And yet, statistically, we know that there was very little genuine danger to children, tourists, or companies–these rockets rarely hit anything or caused any damage. Your argument seems to suggest that the perception of risk causes as much if not more damage than the risk itself–in which case, Israel does not have to actually confront the risk, but merely its perception. Many communities lost more people per capita per year to murder than Israel lost due to rocket attacks, but people in these communities are less afraid and the murder rate does not influence tourism/economic viability. This is because the Israeli government and media overemphasize the risk, making Israelis believe they are much more likely to be killed by rockets than they are. They fear-monger so as to rally the public behind military action, and the public falls for it. The peace deal that ultimately established friendly relations between Egypt and Israel was not a capitulation by Egypt but a genuine deal in which Egypt received land in exchange for peace. Similarly, to resolve the conflict with the Palestinians, Israel will need to cede settlements and give the Palestinians their own state. As I’ve said several times, Hamas aims to draw Israeli counterfire so that Gazans can be telegenically killed. This is why Hamas keeps weapons in highly populated civilian areas. Hamas cannot be deterred by force because it is Hamas’ goal to draw fire. To defeat Hamas, the Palestinians need to defect from it in favor of more moderate groups. This will happen when those moderate groups are seen to have effective strategies, which requires that Israel negotiate with them and make meaningful concessions. Since the second intifada, the PLO has not formally attacked Israel. The PLO has participated in negotiations with Israel and will do so in future. That many members of the PLO hate Israel is unsurprising–many Israelis hate the PLO and hate Palestinians. This does not mean that negotiation is impossible. People and countries who do not like each other negotiate all the time. I believe you talk like that because you have never been to a situation like that. Have you ever witnessed the hysteria of a 14 years old girl when the sirens start? I have, believe me, it is authentic, and not due “media overemphasize the risk”. Besides, given the fact the average rockets rate before the operation was 3 rockets a day, it means they had 3 times each day to run for the lives. No one can live like that for a long time, even if not getting killed. The effect is horrible. Imagine the rockets do not kill, but just brake all the glasses in your window once a day, would you live like that? Besides no factory can do real production when its employees are running for the shelters 3 times a day. Your entire moral standpoint has to change. All your apartheid analogizes, and other criticism becomes irrelevant when considering the threat. Administrative detentions? Give me brake, we are talking genocide prevention here. That’s part of Abu-Mazen’s tactic- he believes a diplomatic and delegitimation attack should precede the physical attack. If a Palestinian state is ever established , it would soon resume attacks Israel. This is exactly what Arafat did in the second Intifada. Once asked to declare end of conflict and no further demands from Israel. 1. How do you explain the anti-Israel/anti-semitism in the PLO text books? 2. How do you explain the glorification of homicide attackers? 3. How do you explain the fact the every map the PA uses features all of Israel? 4. How do you explain the treatment of the Oslo accords like a Trojan horse? 5. How do you explain the Fatah’s TV incitement? 6. How do you explain many statements by fatahs leader about the future destruction of Israel? 7. How do you explain the rejection of the 2008 peace plan? The risk must be overemphasized because the statistics indicate that the risk of being killed by a rocket is much, much less than the risk of being murdered in Israel, and Israel has one of the lowest murder rates in the world. Indeed, even when you take injuries into account, an Israeli is less likely to be harmed in a rocket attack on average than someone in Chicago is of being murdered. The figures fundamentally contradict these anecdotes. If a Palestinian state were established and that Palestinian state made war on Israel, Israel would swiftly conquer and reoccupy that Palestinian state. I do not deny that many Palestinians hate Israel and would like to see all the Israelis killed, but they will never be in a position to do this, and their hatred of Israel can be eased over many decades and generations by changing the political and economic state of affairs. Many Palestinian political organizations talk about destroying Israel because it plays well with their domestic audiences, but all reasonable parties know that this is not a realistic possibility and that the best Palestinians can hope for is an independent state of their own alongside Israel. Once that state materializes, the hatred built up over decades will slowly begin to ease. The ’08 peace plan was rejected because it did not provide the Palestinian state with full sovereignty rights–Palestine’s air space was to be controlled by Israel and Palestine was to be denied the sovereign right to defend itself with independent military forces. It is understandable that Israel does not want to cede these things, as they make the independent Palestinian state more capable of waging war against Israel (though not capable enough to win–Palestine’s economy is too paltry). Nevertheless, this sunk the deal.